Today, I went running and accompanied my husband to change his cars’ tires at gas station. We had waited there for long time, and it was extremely cold. 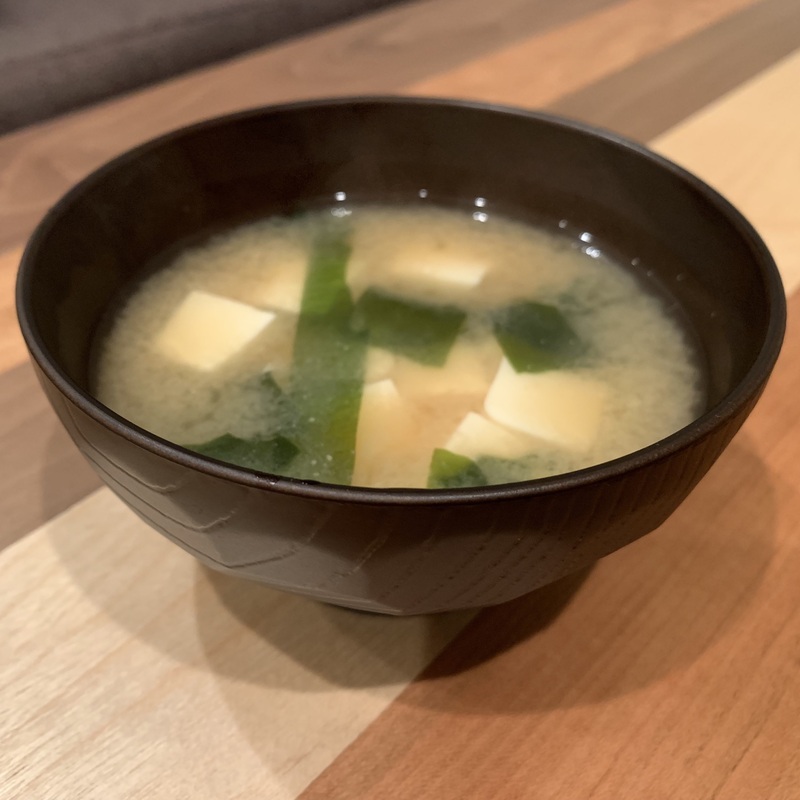 So, my hungry stomach needed hot delicious miso soup…. 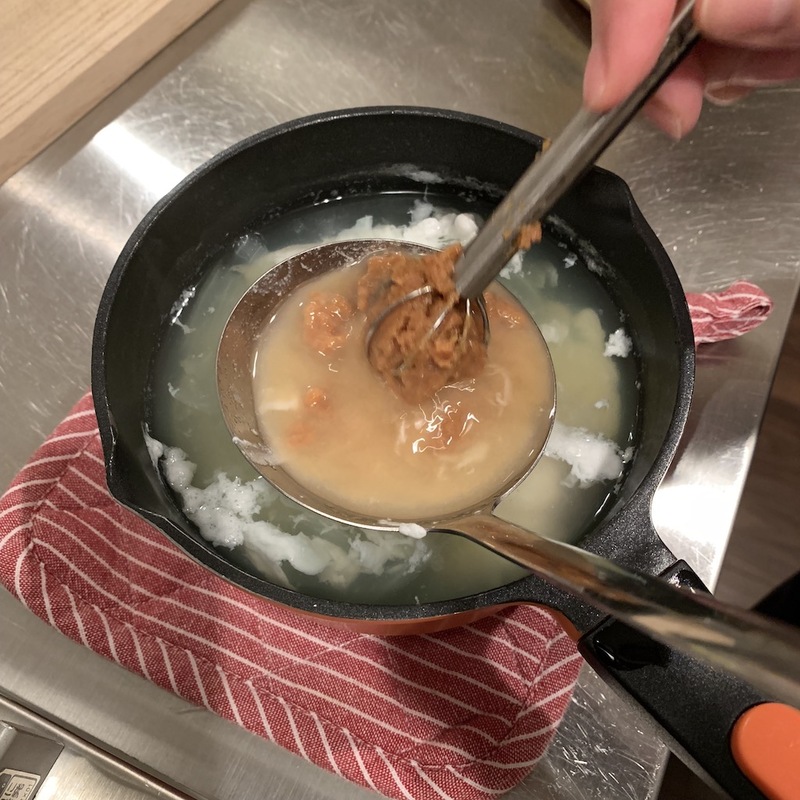 Well, this time I would like to introduce “PORCHED EGG miso soup”. 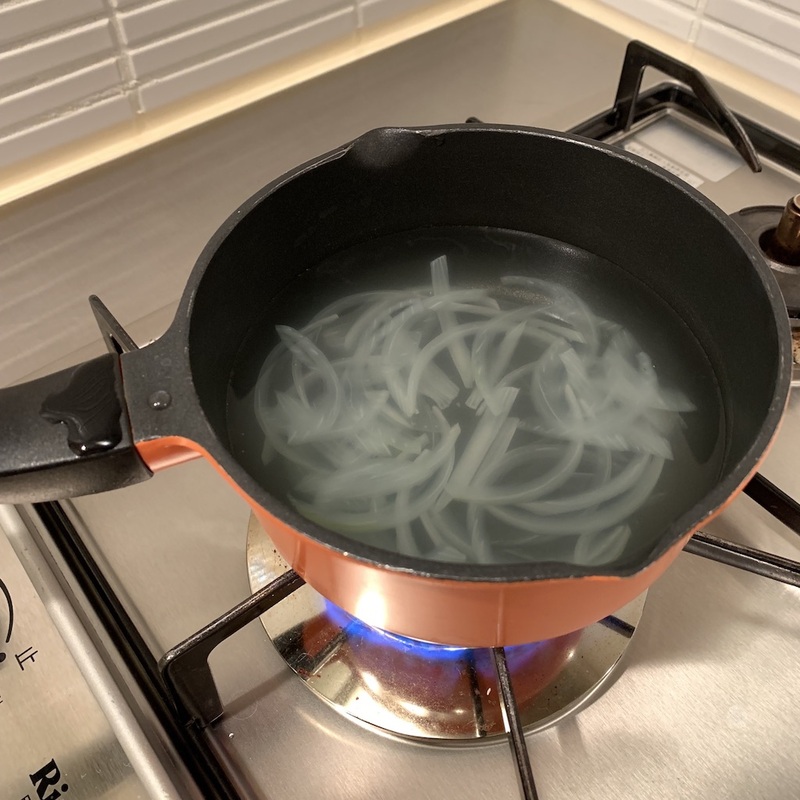 You like dishes made with eggs don’t you? Scrambled eggs, Omelette, Sunny-Side-UP and so on.. Which egg dishes do you like? Like many of Japanese love eggs, I think egg is a familiar ingredient in your country too. Japanese-style rolled omelette (Dashimaki-tamago) is very popular for breakfast or lunch box in Japan. But few years ago, I found out “PORCHED EGG miso soup” is so delicious and super easy to make. 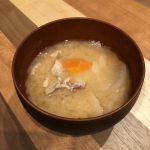 Because it is said that eggs contain abundant nutrition such as amino acid, vitamin, mineral and so on, only “PORCHED EGG miso soup” could be fully nutritous breakfast. I hope you enjoy this great combination of egg and miso! 2. Add eggs and dashi granules. 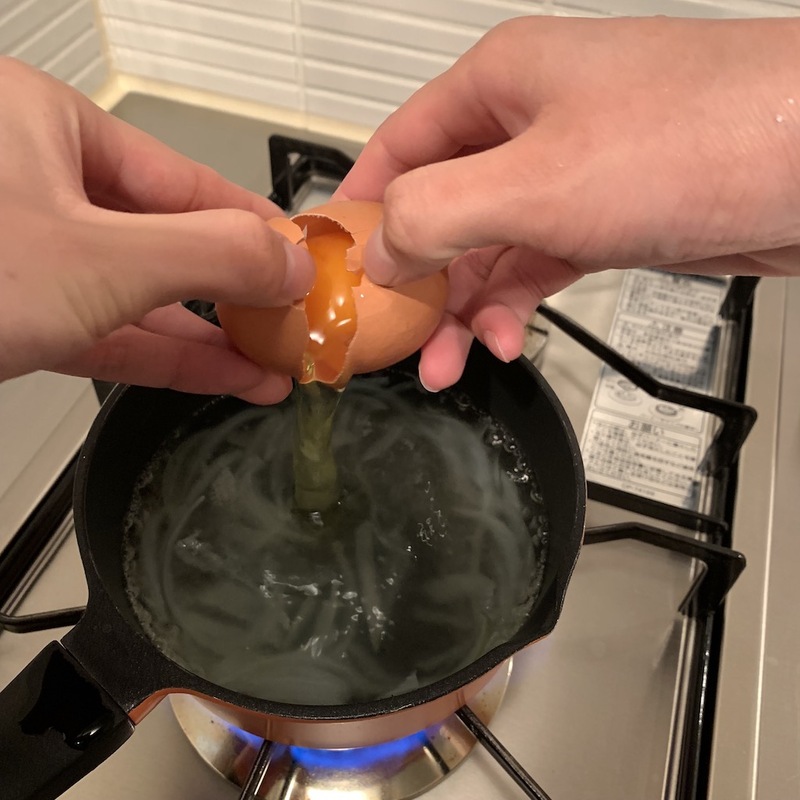 After eggs are cooked, remove from heat. Tip: Make sure the egg white becomes solid, but the yolk remains soft. 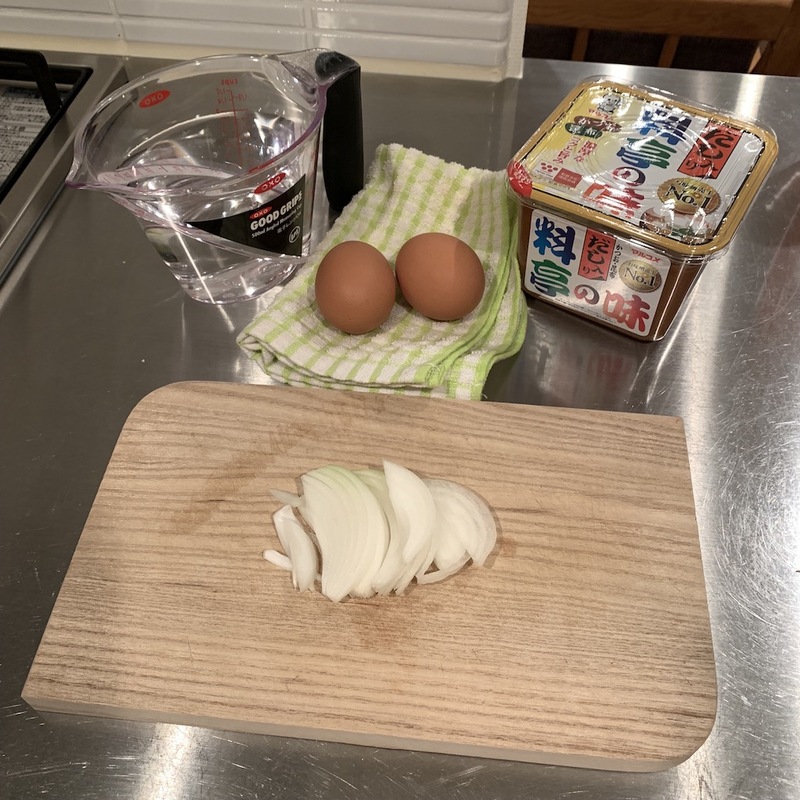 A lot of people prefer raw eggs or soft-boiled eggs in Japan, and I definitely like the miso soup with soft-boiled eggs. 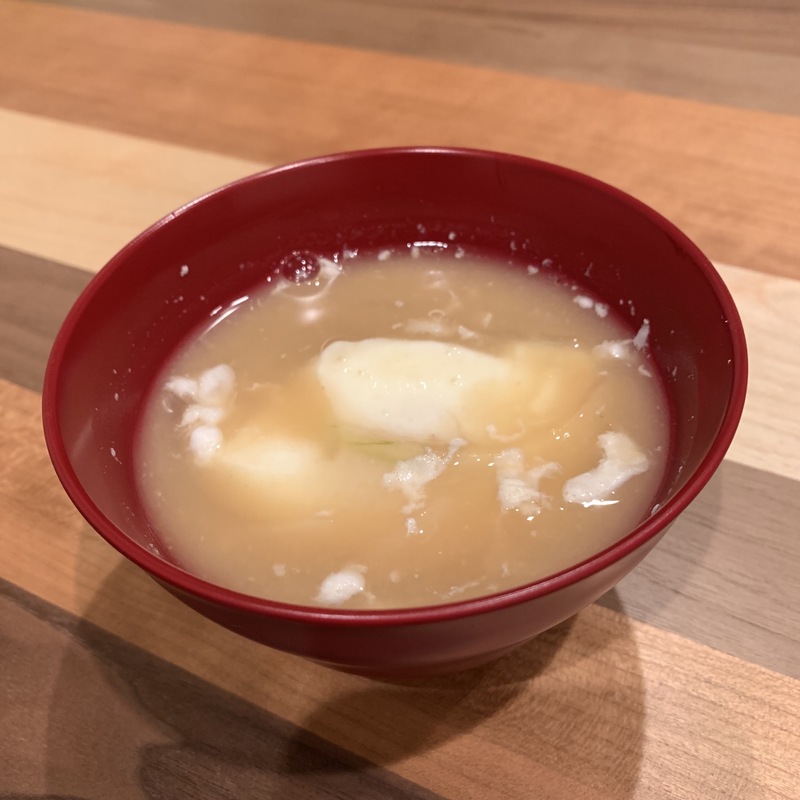 I hope you try this genuine style of “PORCHED EGG miso soup”.